Wednesday, May 25. 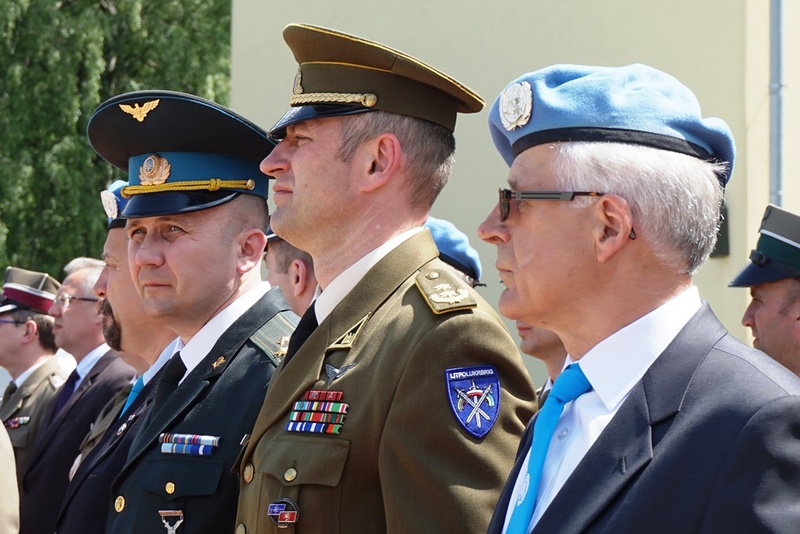 LUBLIN, Poland — LITPOLUKRBRIG Command representatives took part in the ceremony in honor of United Nations Peacekeepers, conducted in the Multinational Brigade Headquarters Battalion. Deputy Commander Colonel Volodymyr Yudanov and Chief of Staff Lieutenant Colonel Eligijus Senulis noted a significant contribution of LITPOLUKRBRIG soldiers and civilian employees, who performed UN missions across the world. During the ceremony Lublin Non-Government Union of UN Veterans awarded the best its members with decorations and other recognition attributes. It is important to mark, that Lithuanian-Polish-Ukrainian Brigade or its elements after achieving Full Operational Capability can be deployed to international operations mandated by the United Nations Security Council. However, the decision regarding deployment of the LITPOLUKRBRIG to international operations will be made by general consent of all the establishing countries.